In our day to day lives, almost every single person uses Kratom related products. However, not many of us understand which companies are the sole distributors of such products on the market. One of these companies is the Major Kratom Vendors. 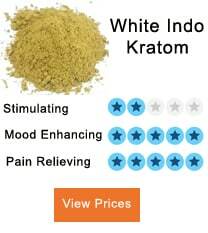 They can offer every kind of Kratom that any of their customers may be looking for. With save orders, they are able also able to provide doorstep delivery for all their customers. All Kratom powder products are stored in airtight containers before any shipment is made. This ensures that the product that reaches their customers is of high quality. Reading this article offers one with the knowledge of different products that they offer in the market. This will involve their quality, prices, how to carry out the selection of the products, if there exist any discounts, and how the business carry out their customer services. The major Kratom vendors understand the Kratom needs of the customers as well as the sensitive nature of the products. They aim to see all their customers remain happy as a result of the service they receive from their products. Major Kratom vendors offer a wide variety of products to their customers regarding the sizes, labels, among other characteristics. Balanced Blend, Black B, Buntok Maeng Da, Lush Bang Baru, Reds Horn, Pure Red Thai, Majors Maeng Da, and the Makakam River Maeng Da. The pricing starts at $11.99 for 22-28 g containers. The category is considered to maintain a number one quality stand for a long time. This includes the current and the newest products in the market from Major Kratom vendors. Products under this category are considered to hold a number one quality stand. They are gathered from the mature ripe leaves and then cured by experts to produce the highest quality powders. Some of the products involved in the category include Spec B, Mahakam River Maeng Da, White MD, Super Green Borneo and Spring Green. All the brands have a price of $11.99 for a packet of 22-28g. The Sale-Spec B Batch Closeout and the Sale-Red Vein Borneo Batch Closeout goes for $8.99 for the same packet of 28g. Under this category are products that are obtained from mature leaves with green veined leaves. Most customers have claimed that these products have many of the positive effects. Such properties include the ability to lift the moods of an individual, as well as the ability to result in smooth body relaxation. Some of the products that are classified under this category include the Green Thai, Green Vietnam, Jong Kong Green, Green Vein Borneo, Super Green Borneo, Spring Green, Premium Green Vein all at a price $11.99 for a packet of 28g. The sale-Premium Green Vein Batch Closeout sells at a price of $8.99 for the same packet. 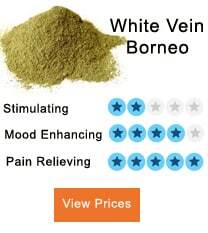 Some of the products under this category are the Borneo Red Vein harvested from different forests in Borneo. The leaves harvested have a high alkaloid profile, and the powder product has a great aroma. During the processing, the stems are removed leaving the outer veins and the leaf together. Its final powder is more Potent with a 100% naturality. Red Kalimantan is deep red with a fine powder. Its onset is quick and has a long-lasting wellbeing effect on the user. Other products under this category include the Red Dawn, Red Vietnam, Pure Red Thai and Red Horn. All these products are priced at $11.99 for a packet of 28g. 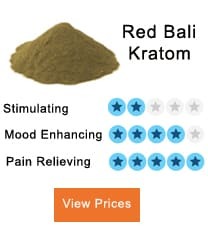 This category is supposed to market cheap products of major Kratom vendors. However, at Major Kratom vendors, they don’t offer cheap products in most of the times. In different occasions, they can provide the sale-Pure Green Vein Batch Closeout, Sale-Red Vein Borneo Batch Closeout, and Sale-Spec Batch Closeout at a price of $8.99 for the smallest packet. The products are considered to hold a number one Quality stand for all brands. Major Kratom can offer a variety of sample tins for strains and blends. Many of the packets are 22-28 grams, and they are packed on bases of volume and not weight. Most of the products under this category cost $11.99 for all brands. Many customers have regarded them the as best type for those who lack knowledge of which the best Kratom is to them. This is one of the best categories that have seen Major Kratom move to the top best Kratom vendors list. It is the most popular product in the company. The category is blended to include almost all the strains. 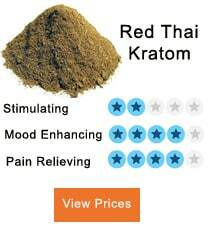 It includes brands like Dark Green Kratom and Red Vein Kratom. These brands are also considered to be the best pain relievers. White vein category made of the leaves with stems and the veins removed from the leaves before grounding the leaves into a fine powder. It has a very refreshing aroma which is less sedative compared to other strains. Under this category are the White Vein Borneo and the Sumatran Superior. Major Kratom shipping Process is simple for the customers to understand. Most of these activities are done through the Priority Mali of United States Postal Service. It is regarded as secure, fast, as well as relatively cheap. It takes a maximum of three days for the delivery to be settled. Another method is the Express that has 1-2 days delivery time. For 1-2 tins, first-class mail delivery is used. 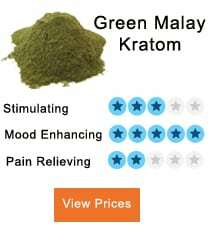 Placing an order with Major Kratom vendors is very easy. They can offer Spanish language customer services even in phone operation. This is with the aim of improving customer service for all customers. On their website page, they have a live chat option for customers to present their views. Address: 10 Benning St Suite 303, West Lebanon, NH 03784. 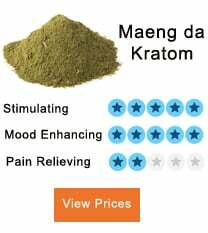 Major Kratom Vendors can give a response to all customers’ questions between 9 am and 5 pm EST. All updates are offered on with all orders made by 3 pm @ facebook.com/majorkratom.